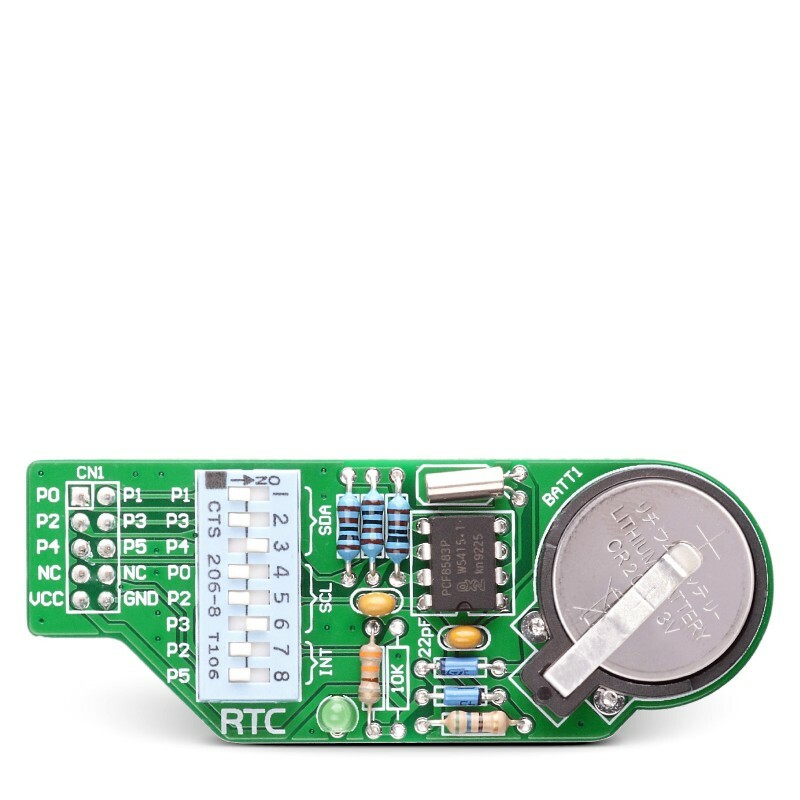 RTC board enables you to use a real-time-clock and calendar in your applications. It features an PCF8583 that keeps track of the current time even when the microcontroller is turned off. 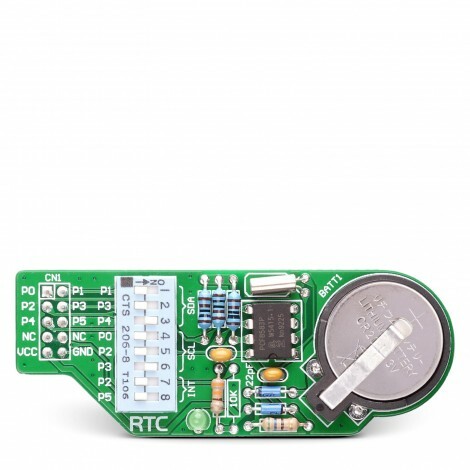 RTC board enables you to use a real-time-clock and calendar in your applications. It features an PCF8583 that keeps track of the current time even when the microcontroller is turned off. The real-time clock is driven by a special battery that is not connected to the normal power supply. The board serves as an extension of development boards which need real time data for their operation but can also be used as a part of some other devices if required. It comes with the relevant schematic and many ready-to-use examples.